When engineers make decisions about streets, they tend to emphasize the “peak hour” — the morning and evening rush when traffic is at its most intense. For the most part, city streets are still designed to move motor vehicles during this relatively short period of time, to the detriment of people outside of cars — i.e. the people who live in the neighborhood. 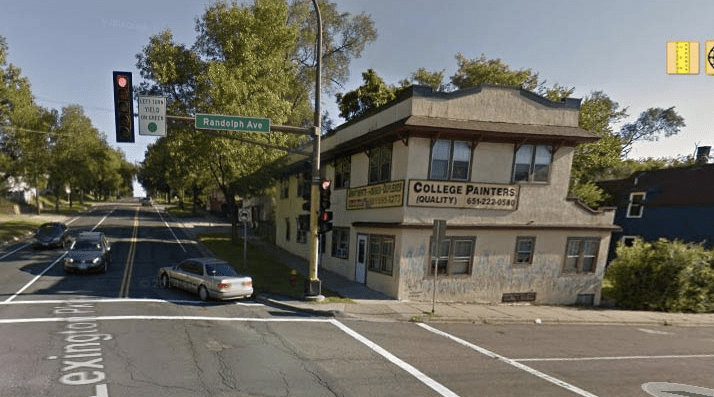 By making this change, the Ramsey County study projects that the average car will save a few seconds of time stuck in traffic. For example, according to the model the proposed layout would subtract 20 seconds of delay for Northbound cars while adding a 5 seconds to Southbound cars. The key thing, though, is that these time savings only occur during the peak hour. For the rest of the day, when the “capacity constraint” isn’t constraining much of anything, the impact on drivers would be negligible. Meanwhile, for the entire day, the intersection would have worse “LOS” [level of service] for everyone else, especially people on foot trying to cross the street. Adding a turn lane, widening the street, or adding a thru lane (which are three of the options) would increase speeds at the intersection at all times of the day and night, eroding safety for neighbors and anyone trying to cross the street. The seemingly neutral LOS charts in an engineering study are actually a highly reductive view of the world, epistemological blinders that pay attention only to cars traveling at certain times of day. Like any science, a traffic study is making assumptions about what’s valued and what counts, and for generations we’ve acted under the assumption that rush hour is the most important time of day. And that leaves a lot of other factors out of the picture. Part of the problem is the lack of good data about how many people are walking or biking, or how the road widening might affect the quality of life of nearby residents, Lindeke says. To produce better results, he points to an idea from the National Association of City Transportation Officials, which recommends factoring in other modes besides driving and other times of day besides the peak hour when making decisions about the allocation of street space. Elsewhere on the Network today: Vibrant Bay Area notes that wealthy suburbs are almost universally dependent on cities with lower average incomes, and that is especially true in Detroit. And Free Range Kids says President Obama is about to sign the “first federal free-range legislation” protecting parents’ right to allow their child to walk to school.